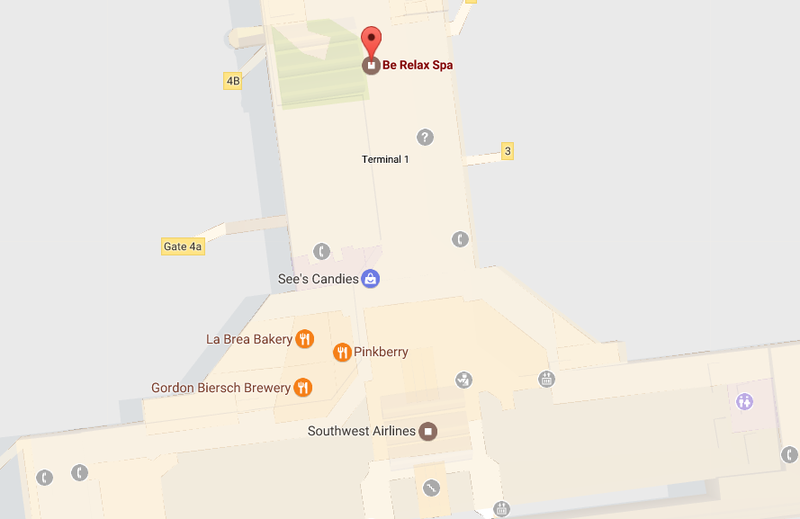 In Los Angeles International Airport (LAX), after the security check we are located on the right hand side just past Gate 12 and right next door to Rock n Brew Restaurant. Welcome to Be Relax Los Angeles ! I am the General Manager for Be Relax Los Angeles Airport (LAX) located in Southwest Terminal 1. We understand that Southwest can turn over planes quickly and on time. With the hustle and bustle of this busy terminal we are able to offer quick, relaxing treatments for the on the go passenger. Our professional team of experts are dedicated to your experience being relaxing and enjoyable. Passengers are very loyal to Southwest and are encouraged to take advantage of our loyalty program which allows them to earn points for free services and retail products. We invite you to stop in and lets us help you have a relaxing flight.